Jalebi.. hot hot jalebi… mouth melting jalebi.. I am sure none can say NO to Jalebis. A delicious dessert which is almost compulsory in our celebration. 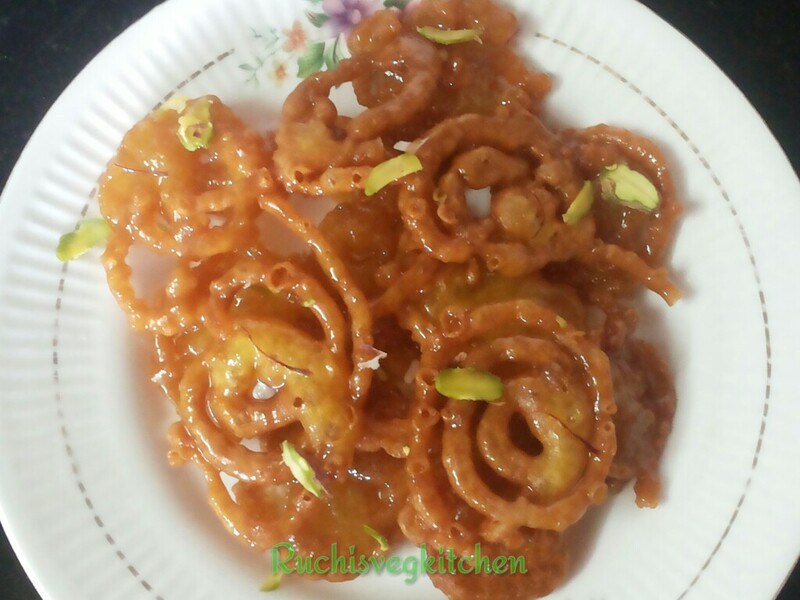 To make this yummy jalebi is soo easy at home. With fermentation also u can make. But what if u cant wait for 24hrs till batter gets fermentation. 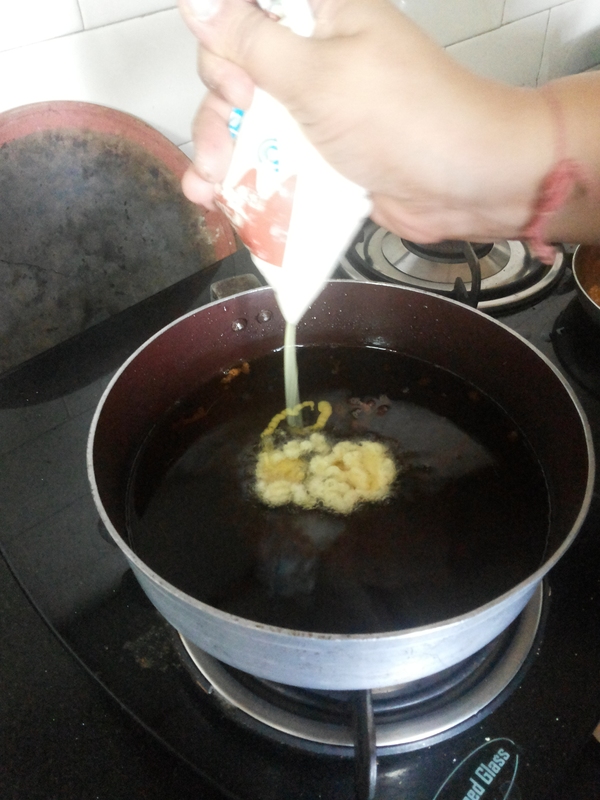 Here I tried super easy and instant jalebi recipe without yeast. 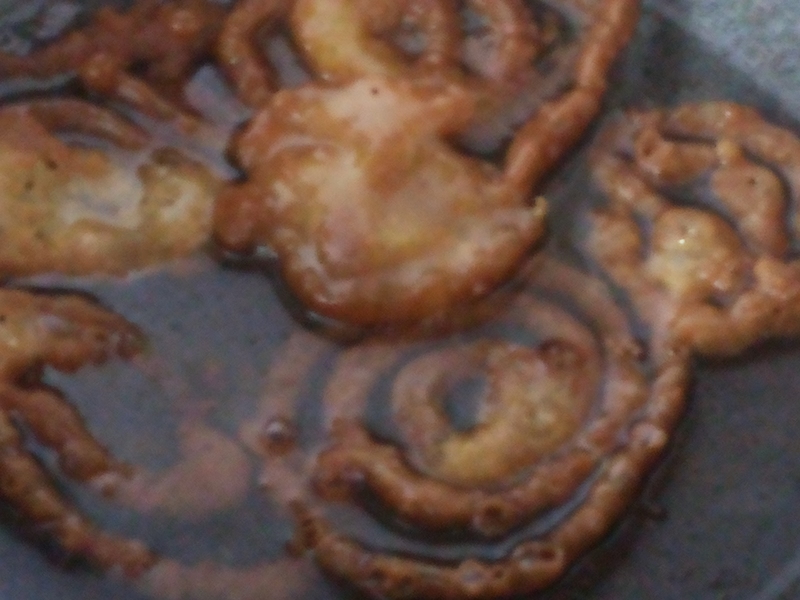 Hot, crispy Jalebi is alltime favourite for hubby specially for Sunday Breakfast. Before a year i tried once and it was disaster in such a way that it took so long to try again 🙂 🙂 🙂 LOL. Before few days one of my friend told me about this INSTANT JALEBI RECIPE, thought to give it a try and take my words it came out SUPERB. 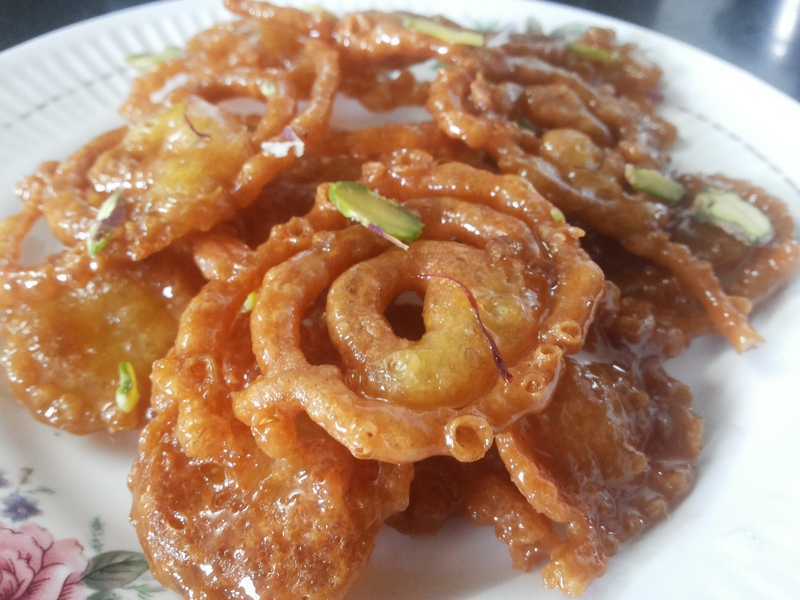 Crispy, mouth melting Jalebis are not so tough to make at home. Even once it cool down, its as crispy as it was when very hot. 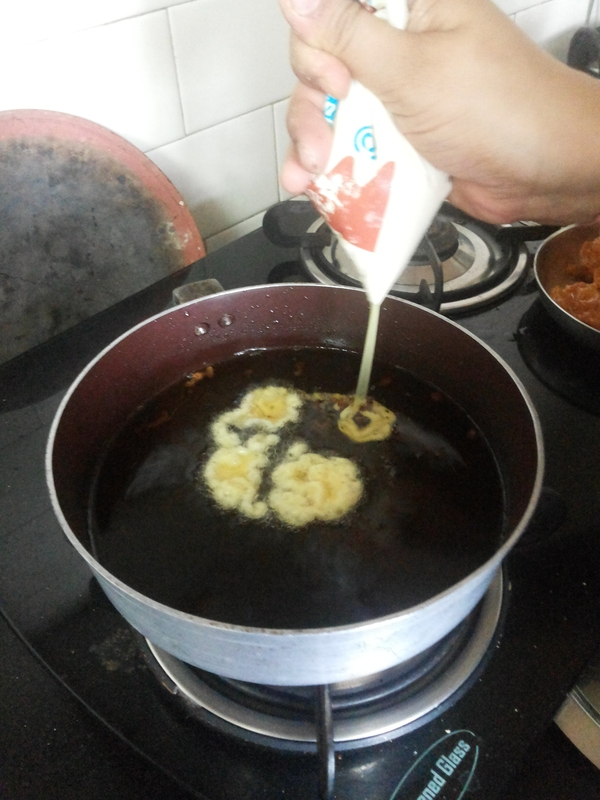 One can refrigerate Jalebi and store for 2-3 days, Just microwave for sometime before serving. You can not refry or reheat . But I feel, fresh jalebi gives the best taste. In this recipe i used Turmeric Powder for colour, but if you wish you can use Food Colour also. 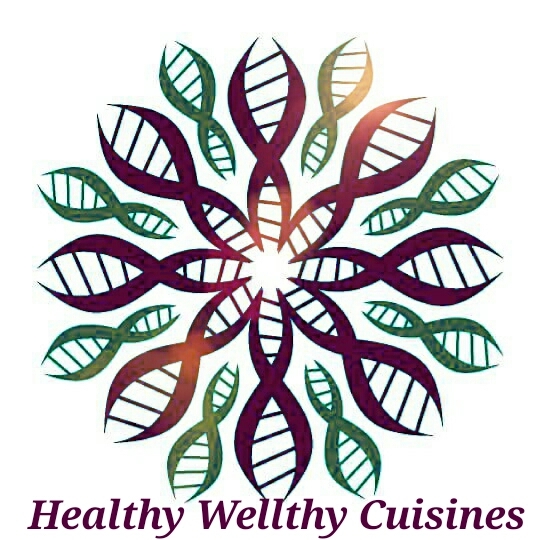 But believe me, there is no difference in taste, but yes healthwise , Haldi will be the best option. To give perfect shape for jalebi, needs a lot of practise. I used Empty Milk bag to pour batter . Cut the milk bag from corner. Make a very small hole initially. Pour the batter. First try on a plate to give shape. That time see the thickness of jalebi. If you need you can cut a bit more. 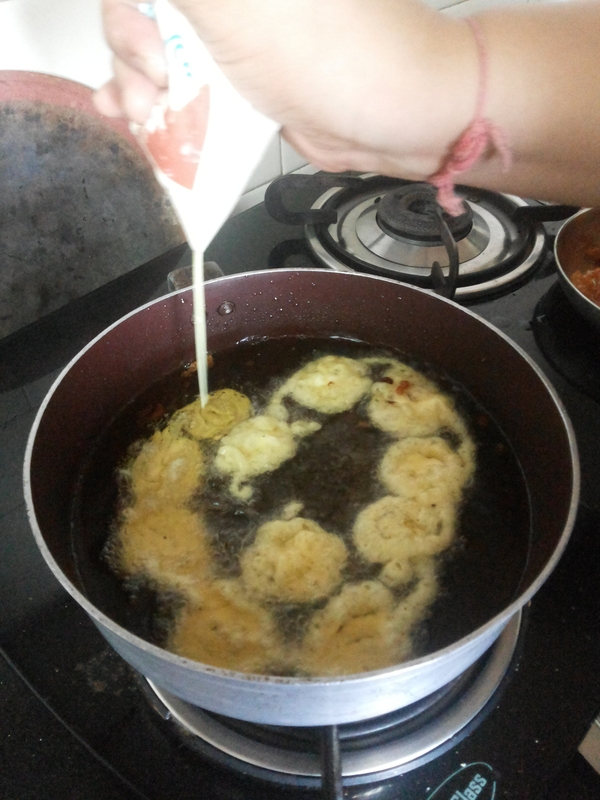 For frying, i prefer GHEE. Many uses Oil also. Ghee should be hot enough. but not too hot. 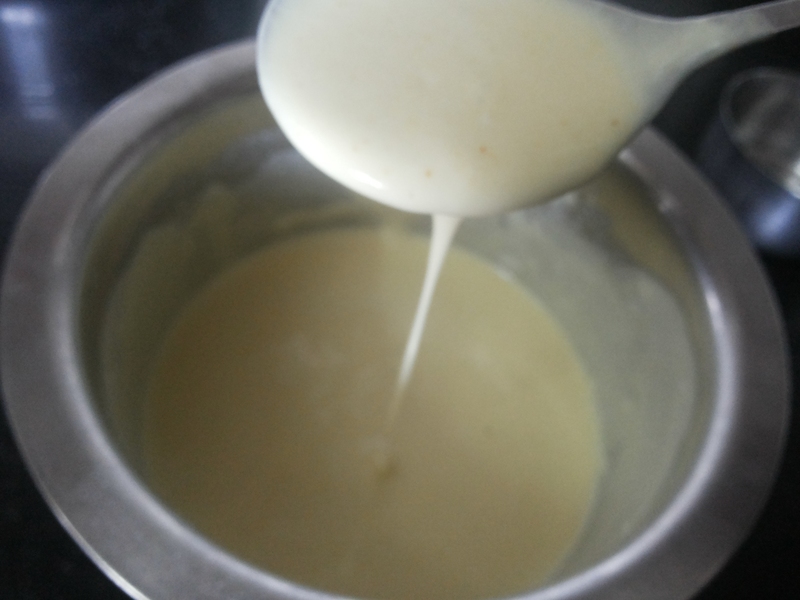 Check with dropping a drop of batter in ghee, it should first sit at bottom then slowly should come up. Fry on Medium Flame. 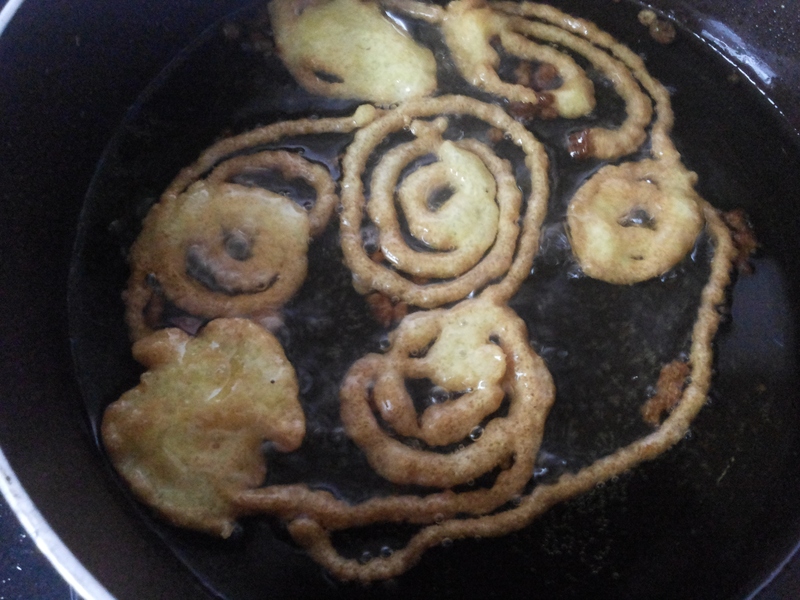 I recommend a flat bottomed non stick pan to fry jalebis. as its very easy to see what shape we are giving . 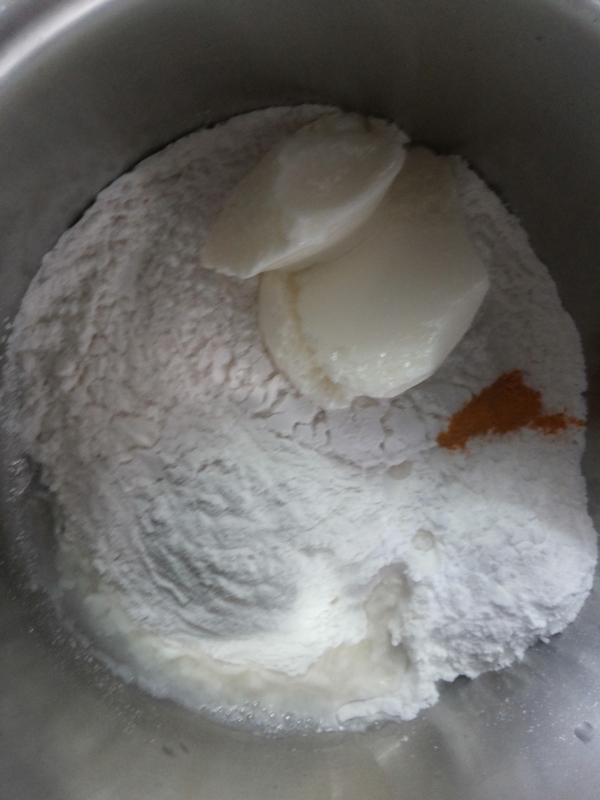 In a bowl mix Maida, Cornflour , Turmeric Powder, curd. 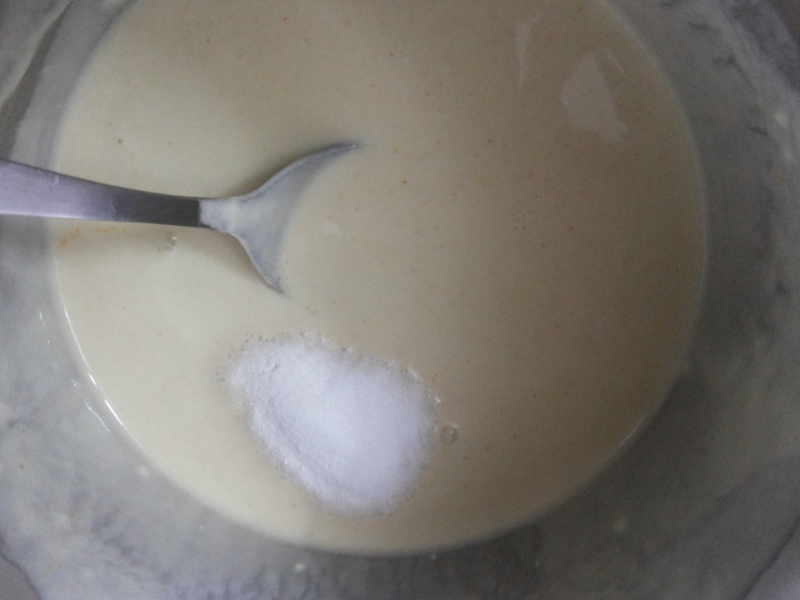 Mix well and make a batter by adding 1/2 cup water. Make sure no lump. 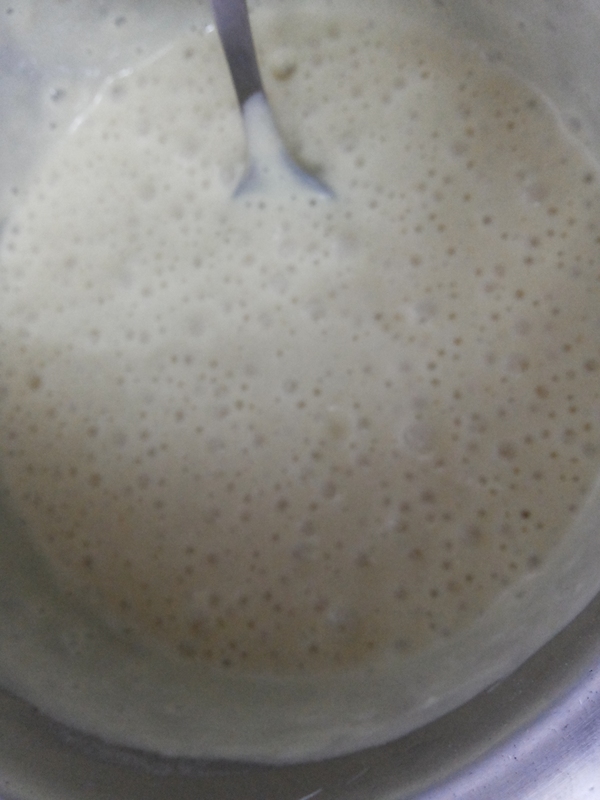 Batter should not be too thick. It should be in dropping Consistency. Add water slowly. Dont add all at a time. Mix well. 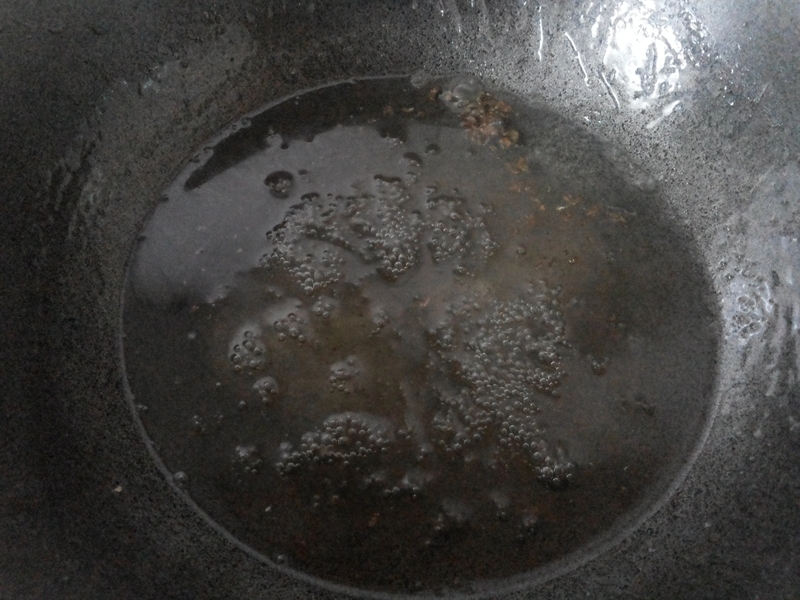 Add 1-2 tsp more water if needed. 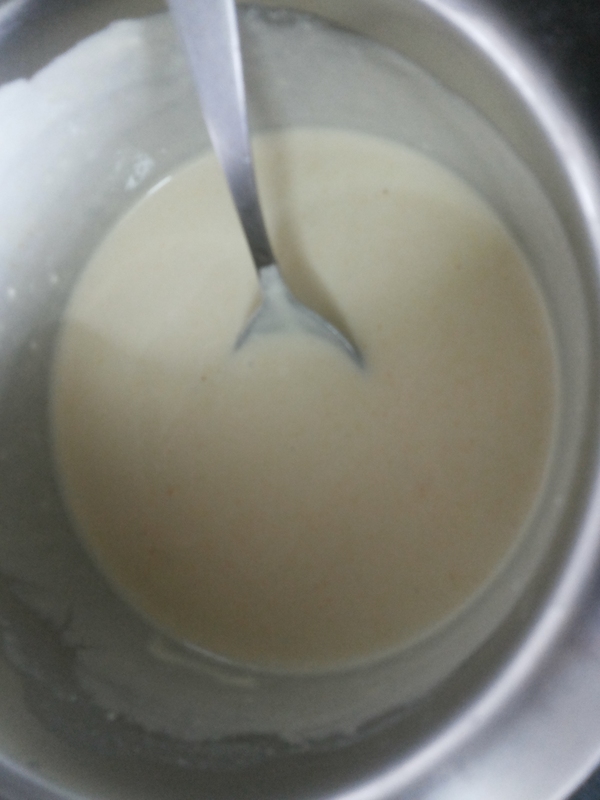 I added total 2/3 cup to make batter. Allow it to rest for 10-12 mins. For sugar Syrup, Take sugar and add 1 cup water. Allow it to boil. When the sugar syrup starts to boil, keep the flame in medium and stir continuously till you get a one-string consistency. When you rub a drop of sugar syrup in your fingers, you can see a string getting formed between your fingers. When your syrup reaches one-string consistency, add the lemon juice and stir well and remove from flame. Adding lemon juice prevents the crystallisation of the sugar syrup. Add Cardamom powder and saffron Strands. Mix well and keep aside. Add Eno/ Fruit Salt in batter and mix well. Pour batter in Milk bag. Gather all Sides together and hold firmly. 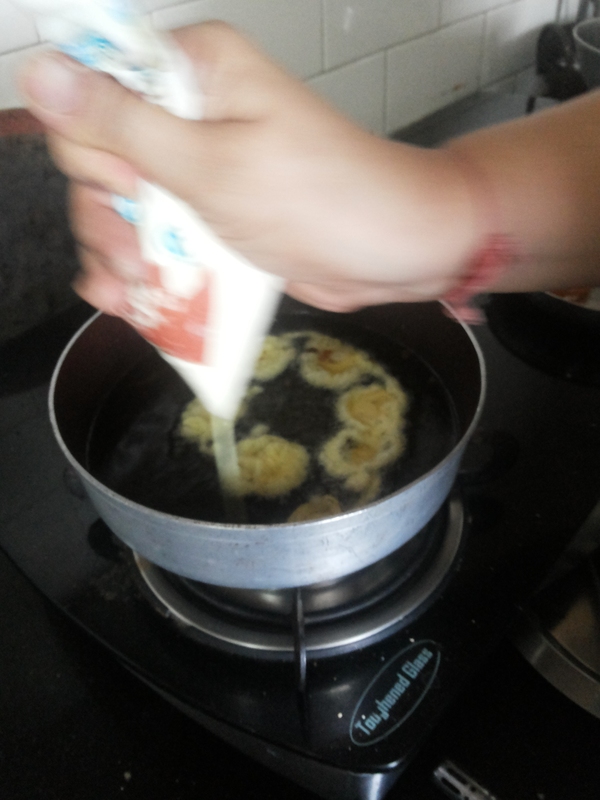 Try to give the best shape , and deep fry in hot Ghee. When i took this pic, it was my first attempt in giving shape, so bare with me but hope you get perfect idea how to use milk bag. Many uses Empty Ketchup bottle. At time of giving shape , always turn ur hand from outer round to inner one. 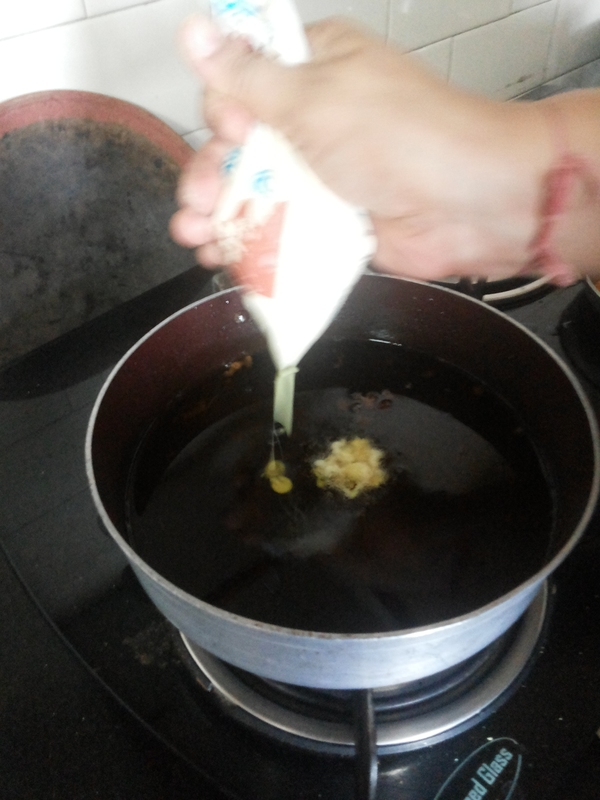 Take out from ghee and soak in warm sugar syrup for 2-3 mins. After 2-3 mins , slowly take jalebis out from Sugar Syrup, Garnish with Pistachio Slivers and serve hot . Hope you all love this.. I buy my jalebi at a nearby Indian grocery store (I’m in Ontario, Canada) because I don’t like to deep fry, but your version is inspirational and makes me want to cook an Indian feast again.